batteries, an array of four 330W solar panels, a 7.5m telescopic mast with a minimum Lux level of 20 and a 10,000 to 40,000 lumen’s output. Even on winter days with 12 hours of darkness, the unit operates consistently and reliably. 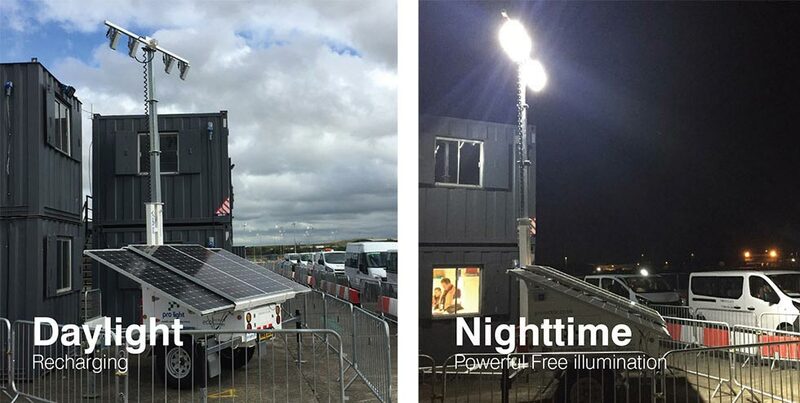 Each ProLight tower has the ability to be left for months without any intervention. Each unit has Telematics so control settings can be managed remotely.